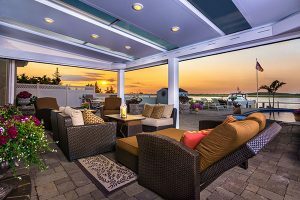 One of the biggest reasons why Four Seasons Sunrooms are so popular and successful is the exclusive CONSERVAGLASS SELECT™ double-strength insulated glass with Stay-Clean technology. 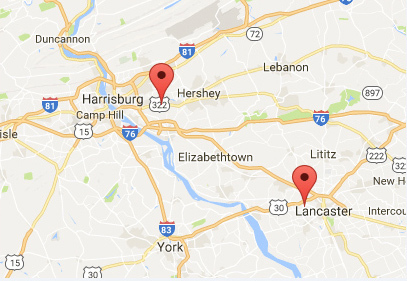 You’ll be hard-pressed to find higher-quality glass for sunroom installation in Harrisburg, Lancaster or anywhere else in Central PA. Homeowners often request CONSERVAGLASS SELECT™ windows in other parts of their home as well! What Makes CONSERVAGLASS SELECT™ So Special? The secret behind CONSERVAGLASS SELECT™ is its patented multi-coating. This is no ordinary window coating, either. 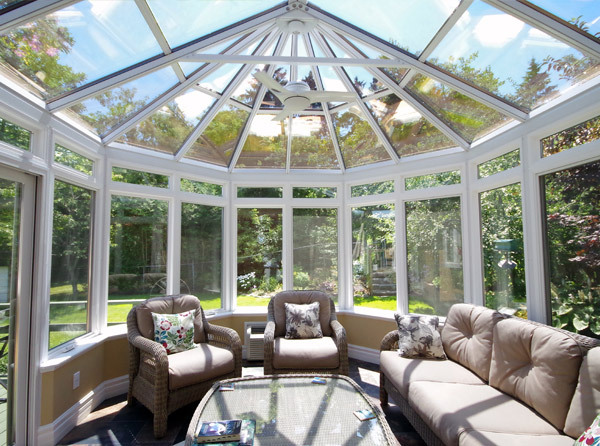 It’s a combination of exotic metals and compounds that allow uplifting, healthy natural light into your sunroom while blocking dangerous ultraviolet rays and harsh solar heat. This coating also acts as a high-quality insulator with an R-Value 100 percent higher than our competitor’s standard double-glazed glass. The R-Value is a measure of heat transfer. The greater the R-value, the less heat transfer the window allows. The means warm air stays trapped inside during the winter, and the windows block hot air from getting in in the summer, offering you a four-season sunroom experience. If that weren’t enough, there’s Stay-Clean technology. These state-of-the-art windows virtually clean themselves. As much as you might love the idea of having a glass enclosure in your backyard allowing you to fully enjoy the sunlight and scenery of the outdoors without subjecting yourself to environmental hazards, the thought of cleaning all that glass might give you pause. You can rest easy thanks to CONSERVAGLASS SELECT™. A patented super-thin coating process consisting of silicon dioxide and titanium dioxide allows your sunroom glass to stay cleaner for a longer time, so you can enjoy your space without wondering how you’ll keep all the windows clean. 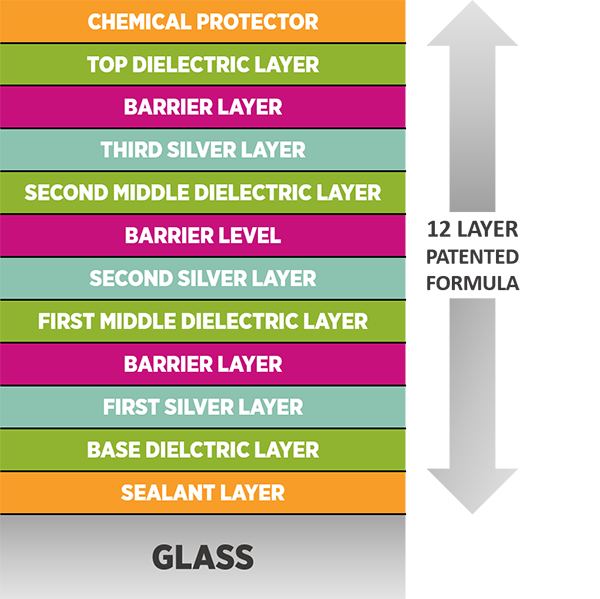 The features of the remarkable CONSERVAGLASS SELECT™ coating seem endless. You’ll enjoy moderate light transmittance, so you’ll have great visibility without blinding glare. This glass blocks 85% of solar heat, too, so your sunroom won’t be unbearably hot or require a fortune in cooling costs to make it comfortable. And of course, the glass looks great, is extremely durable and comes with a lifetime warranty for as long as you own your home. This glass is miraculous, and it’s the only type of glass you’ll ever want to have for your sunroom or conservatory. 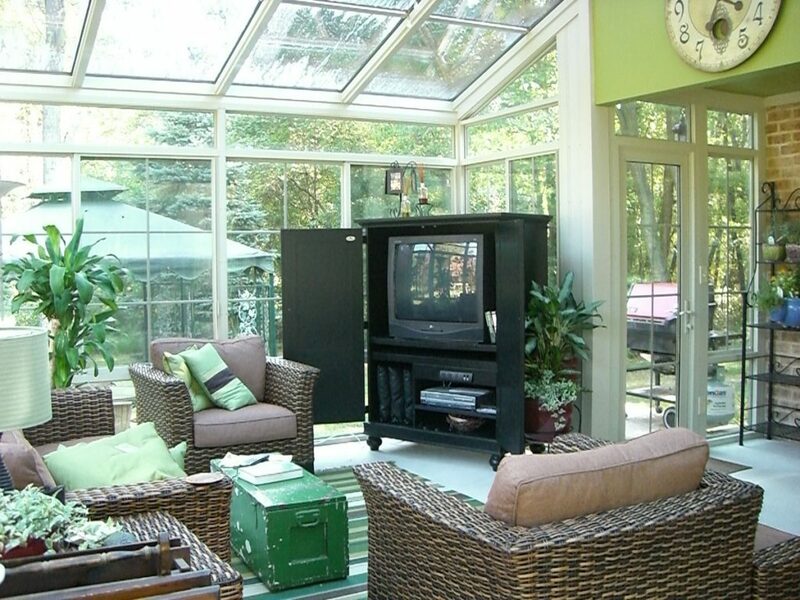 Order Your Four Seasons Sunroom or Window Replacement Today! The magic of this glass has to be experienced to be believed. To see for yourself what it can do, give us a call at PAsunrooms at 717-564-2244. The call is free! If you prefer, you can contact us by submitting our online form. Once you’re convinced about the magic of CONSERVAGLASS SELECT™, you can schedule a free in-home consultation to discuss the right plan for your custom sunroom. Get in touch with us right away. We can’t wait to get started!